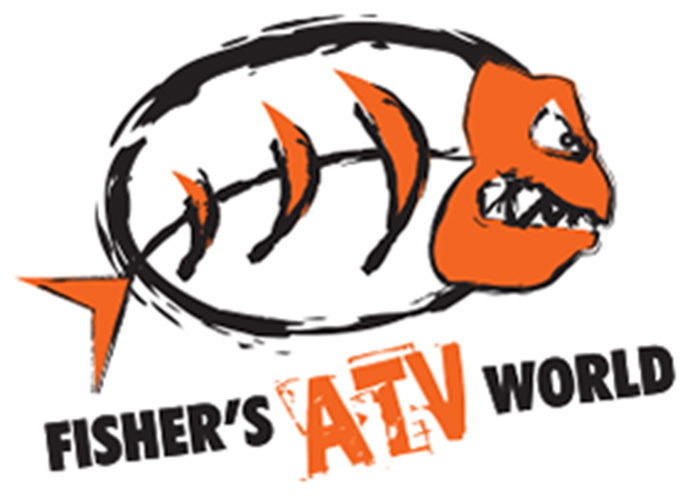 We take pride in the quality of our ATV attachment system, and appreciate the feedback we receive! Below are some testimonials of our happy past customers, send us a review – we’d love to hear from you! “I own 50 acres of mainly wooded land on the west coast of BC Canada and didn’t want to go the tractor route (expense, size, etc.) and, while doing some online research, happened upon the Wild Hare system. The day it arrived I was having my very experienced machine operator/neighbor do some major clearing and he kind of scoffed at the front loader as I was installing it. His tune soon changed when I got it all set up and made short work of a large pile of gravel – easily maneuvering it into tight places. It’s been over 6 months now and I’m continually amazed at how much work I’ve been able to do with it – and how much my back has thanked me. With the front loader I’ve moved firewood, compost, gravel, sand, waste, chips, feed, hay, rock, etc. as well as landscaped areas by back-blading (road repairs, garden beds, path work, etc.). With a relatively quick switch-out to the pallet forks, I’ve moved fencing, logs, lumber, large boxed material, etc. 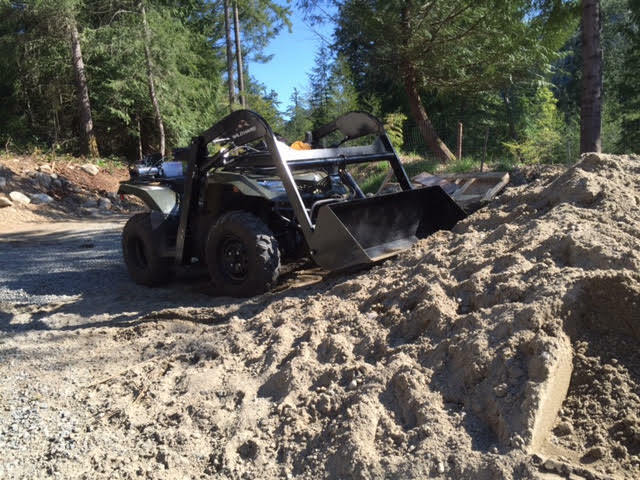 “I bought my Groundhog loader in early 2004 when I was moving into my new house. Didn’t like the idea of spending $15-20K on a dedicated small tractor with front end loader and since I had just bought a Polaris 700 Sportsman I decided to “take a chance” on this thing. I didn’t really expect too much out of it, but figured it might at least be better than a shovel and utility trailer. It is fantastic! I used it to spread topsoil to make my 1/2 acre front yard, limestone for a 700′ driveway, mulch, sand, firewood, you name it. It paid for itself in the first 6 months I owned it. Also, when the snow gets too deep, it’s great for pushing the snow piles back to make room for more. Not to mention it’s fun to use. With some extra weight on the rear rack for ballast, the Groundhog will lift somewhat more than the 300lbs. it was rated for at the time I bought it. Very simple to install. Took me about 3 hours for initial installation…would have taken less time if I had a helper, but was anxious to get started using it. Now it attaches/detaches in about 15 minutes. I would recommend The Groundhog Loader to anyone who needs a light- to medium-duty loader for general use. Just keep in mind this is not a 40HP skid-loader and be realistic about what you expect it to do. For moving materials in my opinion, you cant beat the value this machine provides. Construction is very solid and it is simple to use. Recently I have been in contact with Mike, who as far as I know, was not involved with the Groundhog way back when I bought mine. He has given me reason to believe customer service at Wild Hare will be outstanding. He is quick to respond to my questions and is more than willing to help me, even though I bought my unit from another company 11 years ago.